Firmware v2018.03 Samsung 860 Pro / EVO Support, Apollo Goes Underwater VR, Dive into Varicam LT RAW, Odyssey7Q+ Most Comprehensive Monitor / Recorder on the market and more! 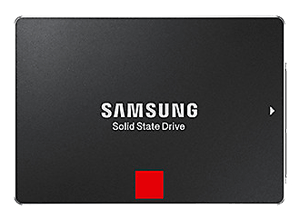 Convergent Design is pleased to announce expanded support for the new Samsung 860 EVO (1TB) and 860 Pro (512GB and 1TB) SSDs. This marks our 18th firmware update to our family of Odyssey and Apollo recorder/monitor products! "Over the past years, we have added a significant amount of new features and capabilities, including comprehensive image tools, advanced 3D LUTs, ProRes and Uncompressed 444 Recording, expanded RAW support and Avid DNxHD. Titan HD extract was recently added as a free upgrade for all our Odyssey and Apollo products. This unmatched feature set continues to position the Odyssey and Apollo as the premiere on-camera monitor/recorder products in our industry", noted Mike Schell, President of Convergent Design. Keeping your firmware up to date is always a good idea and Odyssey/Apollo firmware v2018.03 makes it even better! Visit our website to find out more about the new features and get the latest firmware today! View Firmware v2018.03 Release Notes at www.convergent-design.com/firmware. • Unmatched Image Quality with OLED. • Fully Customizable Monitoring Tools: Vectorscope, False Color and Spot Meter and more! • Advanced 3D LUT System, Apply LUTs independently to outputs and the display. • Anamorphic Support for Super 35, Full Frame, and Lumix cameras. • Quad HD Monitoring -Monitor up to 4 inputs any mix of frame rates. • Extensive Raw to ProRes Support for Sony and Canon Cameras. • Rental Option -Rent per 24 hour period as needed. • Match Cameras on set faster and easier than before with apollo monitoring tools. • AV Align -Fix audio Issues on set, and save time in post. • Avoid Data Wrangling -Synced File Names, timecode, audio, and codec. If you are looking for a capable, versatile advanced monitor for your use, the Convergent Design Odyssey 7Q+ is the right solution for you. This model comes with a whole range of features that will amaze you and enhance your video recording experience. It supports different file formats including Apple ProRes, Uncompressed DPX and RAW (this includes with Record Options). You can record these files through HDMI and SDI using different recording modes such as HD/UHD/2K and 4K. The OLED monitor available with this model gives the best imaging results with 1280x800 pixels that define colors accurately, extending the color gamut and displaying true blacks as it is. The Odyssey 7Q+ comes with extensive tools for image analysis including RGB Histogram, Pixel Zoom, a three-mode Focus Assist, an RGB waveform and a monitoring LUTs. The monitor also comes with a Multi-Stream Monitoring Mode that makes it possible to view up to 4 HD videos at once in a split-screen or live-switching them in full-screen mode. This is a portable model weighing just over a pound and is an inch thick, making it a great option for in-field assignments. The Odyssey 7Q+ can run on any power source that ranges between 6.5 and 34 volts. There is no other recorder in the world that can record in as many formats as the Odyssey 7Q+. It records in HD/2K up to 60p and in UHD/4K up to 30p. The monitor can also record HD Apple ProRes422 and provides other record options for rent or purchase including Canon Cinema RAW (C500), RAW, ARRIRAW (ALEXA) and Sony FS RAW (FS7/FS700 and POV RAW). With the Canon Cinema RAW and FS RAW, the monitor also allows for the conversion of RAW signals into video Apple ProRes 422(HQ). For a high data load and long hours of recording, the monitor comes with 2 SSD slots that support up to 1TB sizes. The Odyssey 7Q+ comes with a 1280x800 resolution, 7.7" OLED screen that is highly accurate on colors. To complement its features, the model comes with tools for analyzing images and these include a programmable False Color, a histogram, a waveform, and Pixel Zoom that can be finger-dragged. Other image analysis tools included are a three -mode Focus Assist and LUTs, which are used in providing better views of the LOG and RAW modes. Programmable LUTs will be released shortly. With the Odyssey 7Q+, you can also view as many as four HD video signals concurrently by quad-splitting the screen or live-switching the videos in Full Screen Mode. This makes the camera a great option for internet streamed productions and multi-camera shoots. Odyssey 7Q+ remains relevant with improved camera recording options. This is so since regular firmware updates on the model continue to expand its capabilities making it applicable today and in the future. Odyssey 7Q+ monitors are compatible with all modern cameras, and once you add an SSD, the monitor is ready to shoot. The Full Deck controls coupled with the touchscreen enhances the playback of clips. With an Odyssey 7Q+ monitor, you can playback all formats instantly once you need to. There are clip markers on ProRes files that help highlight important materials. The monitor also makes it possible to access analysis tools on Play mode. When features are compared against price, no modern camera will beat the Odyssey 7Q+, which ranks as a top on-camera model. The Odyssey 7Q+ has been cleverly designed using a magnesium alloy. This makes the case durable and easy to lift at slightly over 560gms. The monitor also has a low power consumption rate at 8-19W and can run with anything between 6.5-34V. Its design involves no fans and hence lacks elements such as noise which makes it quite a comfortable monitor to use. Convergent Design announced a price reduction of their popular Odyssey7Q+ recorder/monitor to $1495 ($USD). Additionally, all Odyssey7Q/7Q+ and Apollo owners will receive our Titan HD Extract upgrade at no additional charge. Convergent Design continues to raise the bar among professional recorder/monitor products. The Odyssey7Q+ features a rugged cast magnesium case, gorgeous OLED display, best-in-class monitoring tools, 3D LUT support, and ProRes Proxy to ProRes 4444 recording, clearly setting it apart from the crowd. Comprehensive RAW support and the Apollo multi-channel recording options elevate the Odyssey7Q+ to the premiere class. Unquestionably, the Odyssey7Q+ with the Odyssey RAW Bundle upgrade offers the most comprehensive RAW support available on the market, including full support for ARRIRAW, Canon RAW, Sony FS series RAW, POV RAW and Panasonic VariCam LT (and soon AU-EVA1) RAW. The dual SSD architecture, found exclusively on the Odyssey7Q+, enables RAW recording and playback of 2Kp240 and 4Kp60. RAW to ProRes recording is also supported for a variety of different cameras. The Odyssey Apollo Option (paid upgrade) enables quad-channel HD / dual-channel 4Kp30 recording and playback. Essentially, four recorders in one. The Odyssey Apollo Option dramatically reduces the amount of gear required for multi-camera production. Most importantly, the Apollo Option saves hours of time in post-production by recording all streams to a common CODEC, with the same timecode and consistent file naming and starting frame. Apollo's exclusive AV Align feature can correct audio/video sync issues commonly found in multi-camera productions that use a mixture of different cameras. Finally, Titan HD Extract, formerly priced at $795, is now available as a free upgrade to all Odyssey7Q/7Q+ and Apollo owners. Titan HD Extract empowers users to effectively create multi-camera productions from a single 4K camera. Titan records three streams from a single 4K source: one HD downscale of the entire 4K raster and two HD extracts based on user-defined movable windows (within the 4K image). Multi-camera production has never been more simple and cost-effective. Convergent Design continues to raise the bar. Today, however, the bar to owning industry best monitor/ recorder, the Odyssey7Q+, has been significantly lowered to $1495.